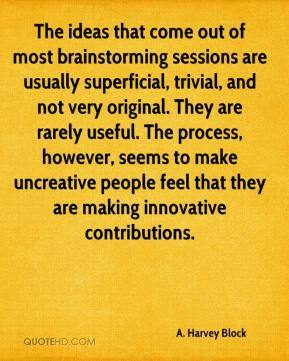 The ideas that come out of most brainstorming sessions are usually superficial, trivial, and not very original. They are rarely useful. The process, however, seems to make uncreative people feel that they are making innovative contributions.